We are thrilled to stock Bambino Mio reusable nappies and accessories including the Bambino Mio Miosolo, Bambino Mio Mio Nappy and Mio wraps. 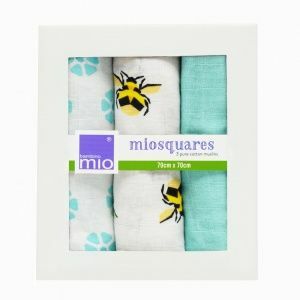 A global brand, Bambino Mio are loved for their range of resuable nappies and accessories including the Mio nappies and the hugely popular MioSolo All-in-one nappy. We also stock Bambino Mio training pants, Bambino Mio swim nappies and more Bambino Mio accessories such as the super popular MioFresh nappy cleanser.